Like many MMOs, Elder Scrolls Online features gorgeous locations meticulously crafted. 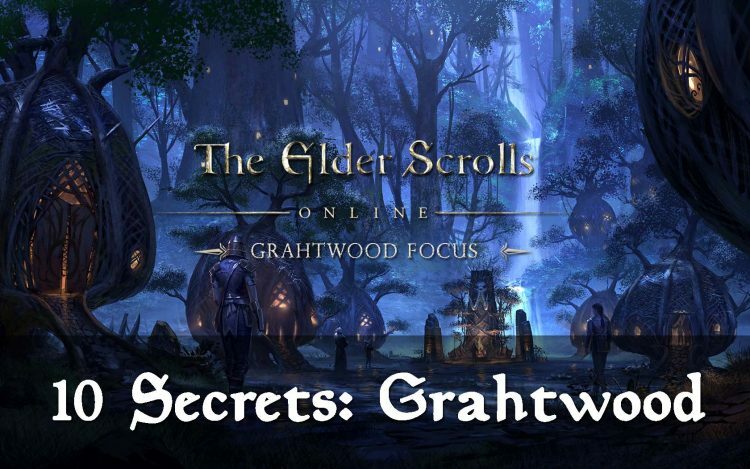 This feature article will touch on the 10 secrets you likely missed while in Grahtwood, the capital of the Aldmeri Dominion. 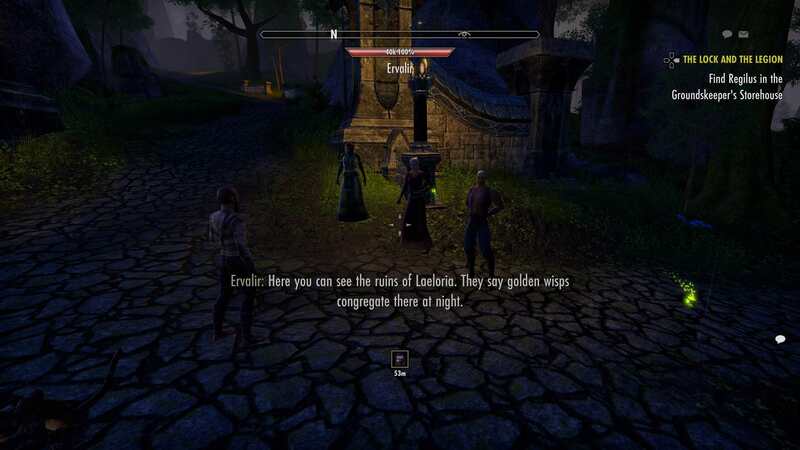 Look for a Khajiit arguing about moon sugar with a Bosmer or Altmer near Elden Root and on the road to Haven. 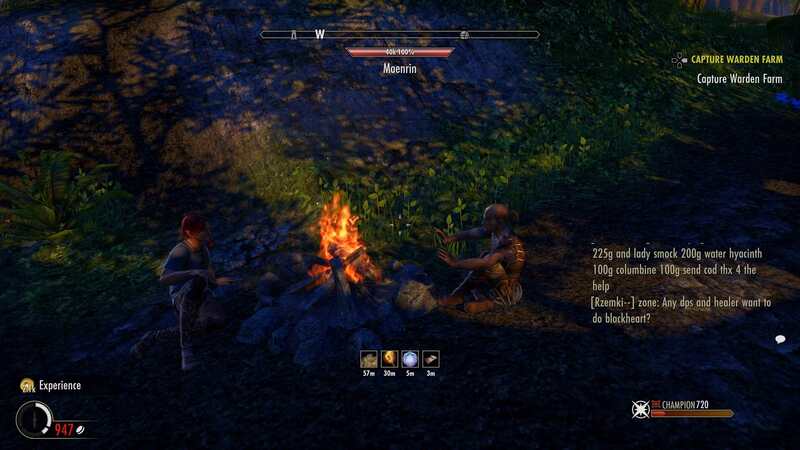 There’s also a Khajiit camp with the ongoing discussion. 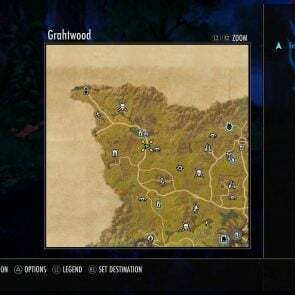 You can also find a Bosmer and Altmer fighting on the northern portion of Grahtwood, just south of the Redfur Trading Post Wayshrine. 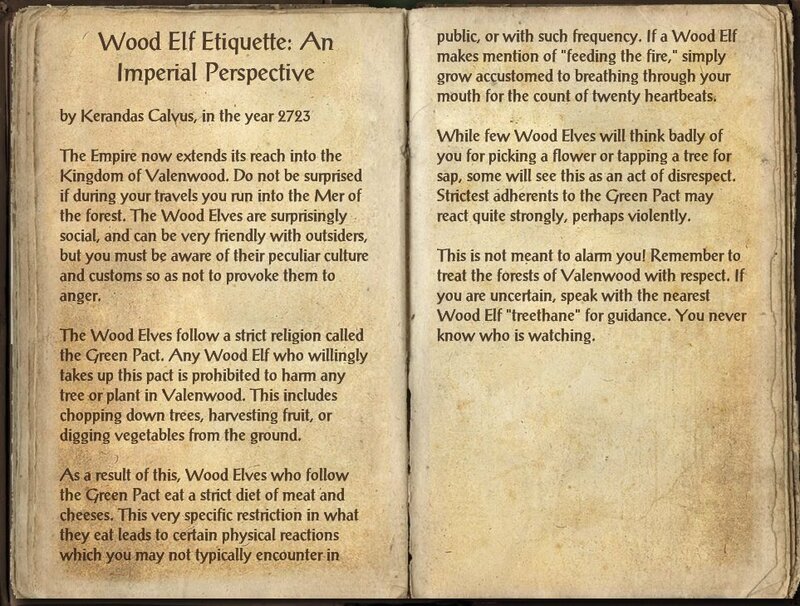 Wood Elves who follow the Green Pact eat a strict diet of meat and cheeses. This very specific restriction in what they eat leads to certain physical reactions which you may not typically encounter in public, or with such frequency. 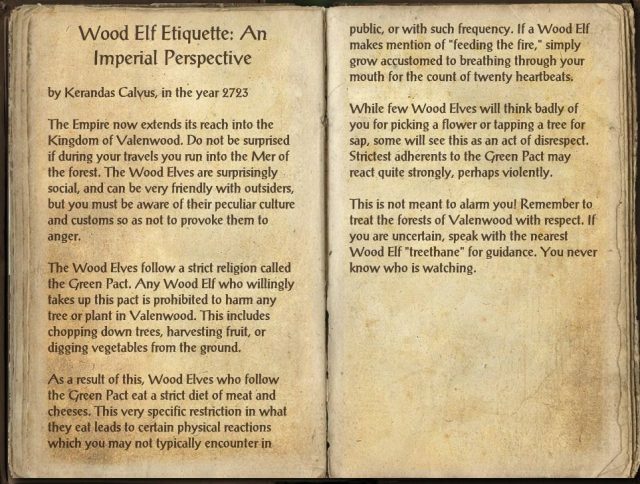 If a Wood Elf makes mention of “feeding the fire,” simply grow accustomed to breathing through your mouth for the count of twenty heartbeats. A wood elf can be found guiding an Altmer couple and a Khajiit around Grahtwood, sharing trivia on different locales. They visit Elden Root, the Temple of the Eight, and Laeloria, and make some interesting remarks about a bridge destroyed during the war that has re-constructed thanks to the Green Pact. You can find another tour at the Elden Root Wayshrine, and a third one heading South the road to Haven past Root Sunder Ruins. Located NorthEast from Haven, this empty and unnamed mansion had players confused for the longest time since its addition with Update 1. 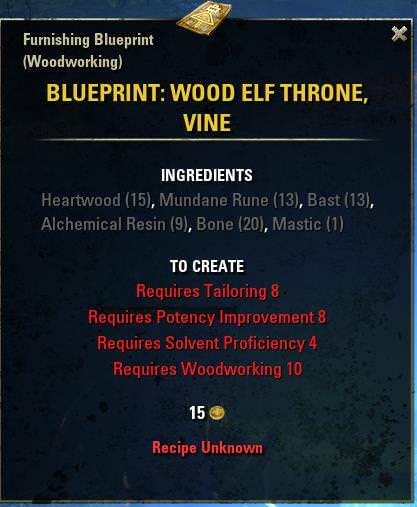 Fast-forward to Update 6, and the name “Molemir’s Estate” appeared. However, access to the mannor was restricted again in Patch 2.0.9 citing: “Two doors in Grahtwood that were not meant for entry at this time have been sealed”. 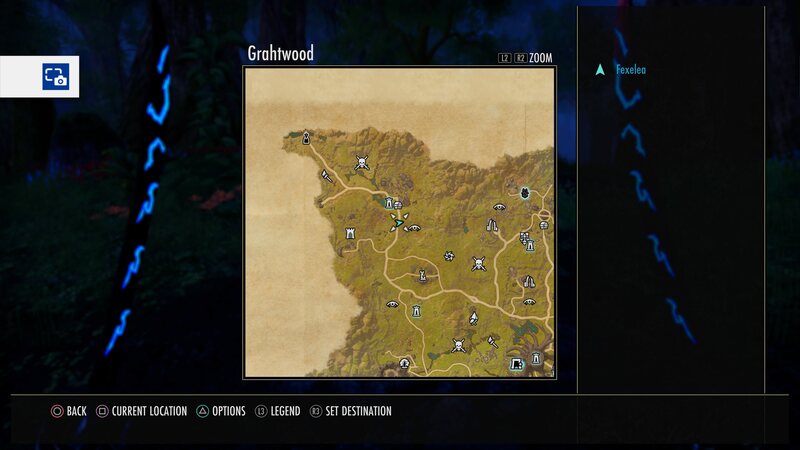 If you have completed this quest, you can return to the altar of your choosing and re-apply the buff for your other activities in Grahtwood. Unfortunately it doesn’t carry over to PvP or Dungeons, but it is really rather useful for farming World Bosses or materials! 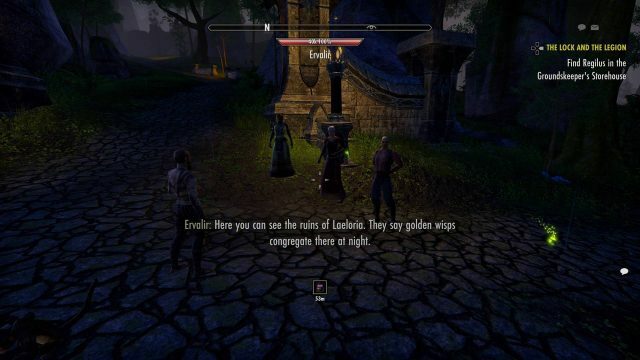 If you want to get the coveted Wood Elf Throne Blueprint, you should try pickpocketing the nobles within the throne room and near the Wayshrine in Elden Root. To make it easier for you, make sure to invest points into the “Light Fingers” skill. And if you have completed the Thieves Guild DLC, bring along your smuggler assistant to be able to get rid of whatever you get while you farm! You don’t want to miss your chance to extort some merchant out of gold in Grahtwood as a way to get revenge for their outrageous repair fees! The achievement “Crime Pays” ticks off another victim! 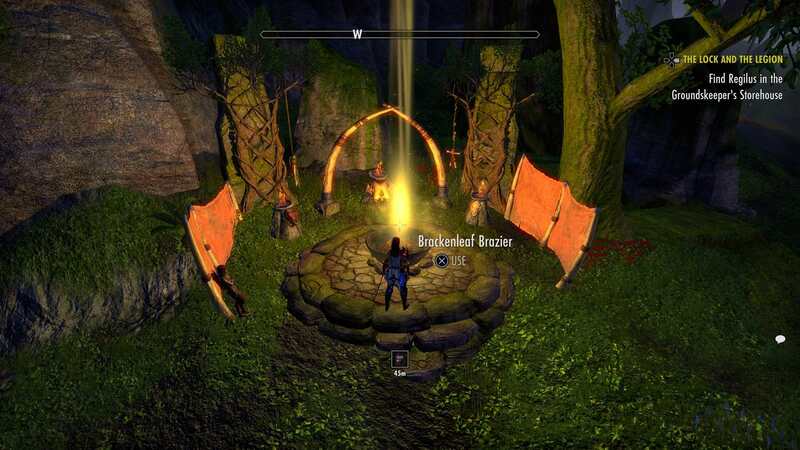 Make sure you have “Intimidating Presence” from the Fighter’s Guild Skills and talk to Trader Rabamak, a Khajiit located West of Gil-Var-Delle Wayshrine or in any other of the 4 marked locations. These are rare spawns, so cycle all the locations every hour! The achievement “give to the poor” is also present in Grahtwood. Find the Bretton beggar Mathys by going to Root Sunder Ruins and heading south down the road. 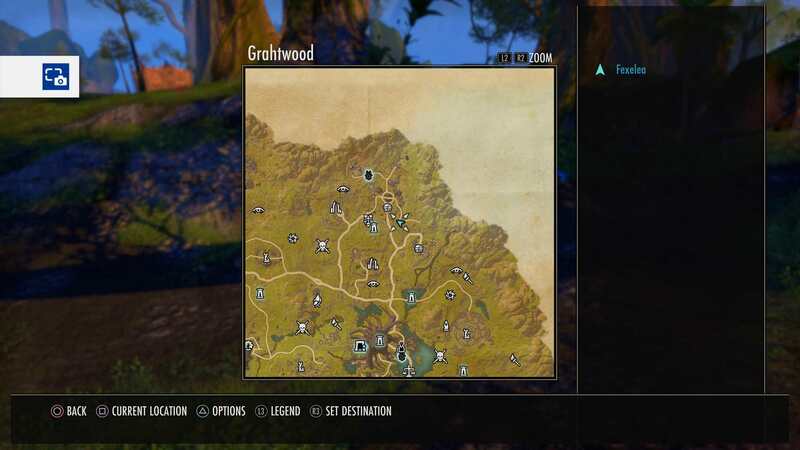 Another zone achievement easily missed, “Lightbringer” can be advanced in Grahtwood. 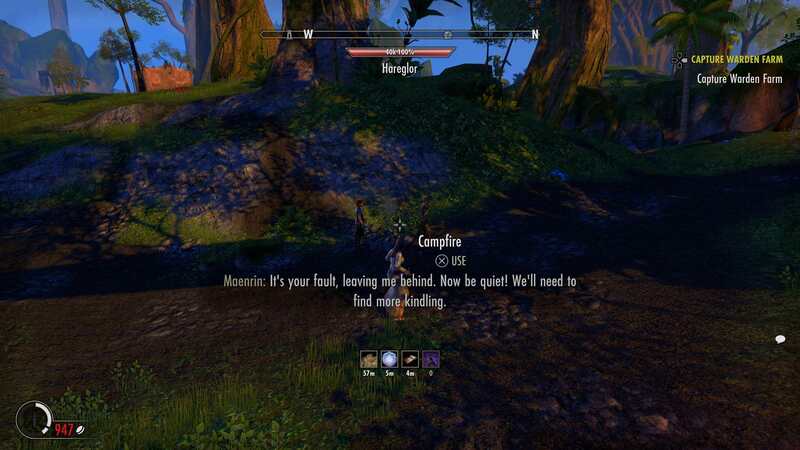 Head west from Redfur Trading Post and you’ll meet Hareglor & Maenrin, who are arguing about their campfire. Light it for them and receive the buff “Firelight“, increasing your maximum Stamina by 5% for 30 minutes! 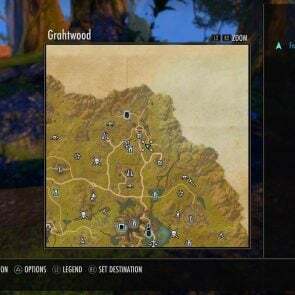 And that concludes our tour of Grahtwood! If you’d like one more thing to do, head west from Root Sunder Ruins and you can watch Cornar perform his “Bug Wrangler” show! 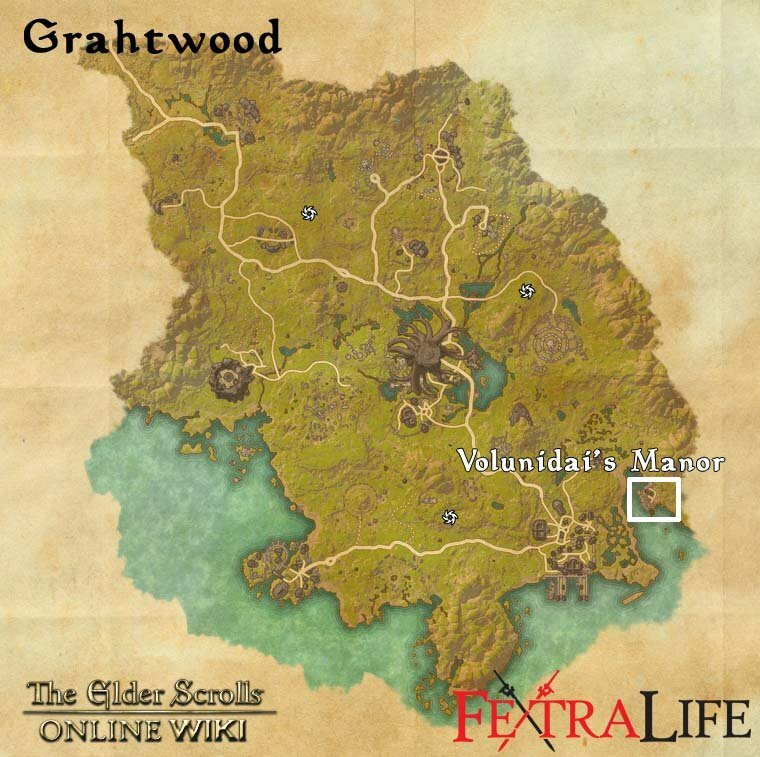 If you need extra help for in-game activities, here’s a list of all Grahtwoods Skyshards and all Grahtwood Quests. You can also check out our ESO Sets Guides or find out why, after 3 years, I’m still addicted to Elder Scrolls Online. Don’t you go giving money to that filthy beggar, he’s just going to blow it on skooma.